Calling all weekend warriors! Do you spend your weekdays in an office, but love to get outdoors on the weekend? Presidio ULTRA was designed just for you. Our brand-new Presidio ULTRA case combines a slim design with rugged protection that adapts to your lifestyle. We started with our award-winning dual-layer Presidio case, which offers sleek, slim protection against damage from drops up to 10 feet. Then we added the dual-layer ULTRA Bumper which fits around the edge of the Presidio case to protect your ports and buttons against dirt and dust. When combined, the case and Bumper protect against drops up to 15 feet, making it our most protective smartphone case yet. The ULTRA Bumper has a no-slip grip and is easy to remove for cleaning the case and when you don’t need the extra protection. It also features a port cover, button covers, and a mute switch dial to keep out dust and dirt. The Bumper also works seamless with a ShieldView Glass screen protector for 360-degree protection. 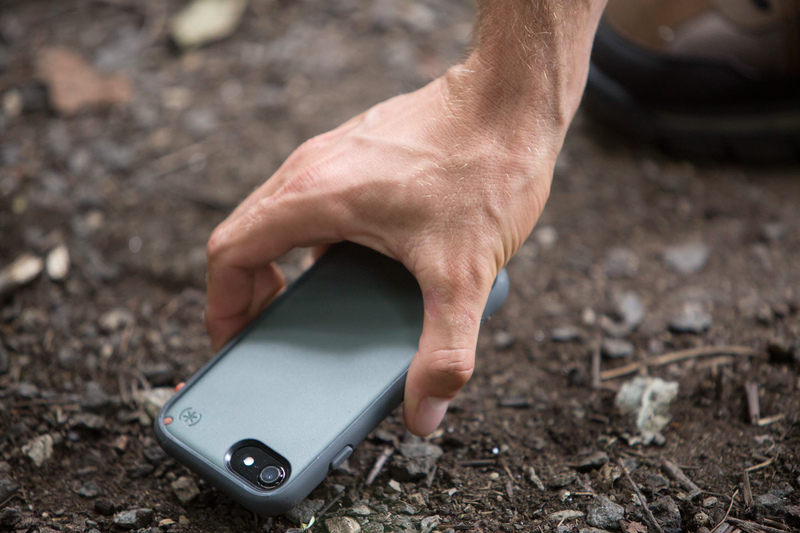 Presidio ULTRA is our most rugged protection yet, but we haven’t sacrificed style or slimness! In fact, Presidio ULTRA is 16 percent slimmer than the leading rugged case on the market and offers even better protection against drops. 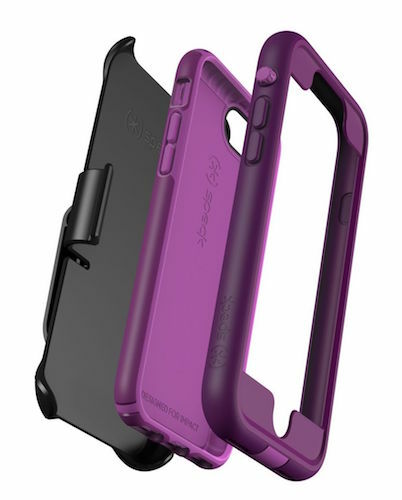 The case comes with a durable holster that clips easily to your belt, waistband, or pocket. It has a 360-degree swivel clip that moves with you. It also doubles as a stand to prop up your phone when you want to use it hands-free. Presidio ULTRA is available now for the iPhone X, iPhone 8, and iPhone 8 Plus. It comes in four colors to match your style; Black/Black, Sand Grey/Surf Teal/Mountainside Grey, Mangosteen Purple/Hibiscus Pink/Eggplant Purple, and Field Grey/Terracotta Red/Asphalt Grey. With Presidio ULTRA, you’re covered no matter what your day looks like. The slim Presidio base is perfect for the office or a night out, and when you add the ULTRA Bumper, you’re ready for adventure. Pick one up now!